Daffy is upset that the prize for a first-place duck at the National Poultry Show is only $5, but a rooster will win $5,000. He disguises himself as a rooster so he can win the big prize. 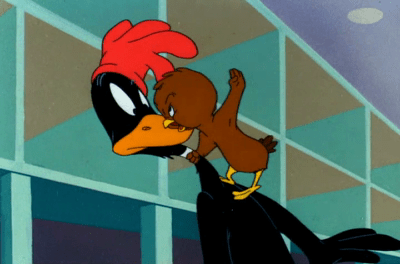 Unfortunately for Daffy, he becomes the object of Henery Hawk’s desire for a chicken dinner. Merrie Melodies Episode This Is A Life?